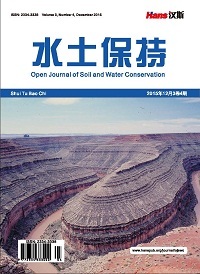 This paper, by changing the test of nitrogen fertilizers and fertilization methods, developed the production of wheat fertilization for Shajiang black soil; increasing nitrogen fertilization can significantly improve the wheat groups, individuals and the relative quality of the production, especially T3 (optimized fertilization + absorbent polymer) which has the profound influence on the number of wheat stems, such as significantly improving the number of the wheat spike and leaf age. T3 is beneficial to the tillering of the wheat. T3 or controlled release fertilizer (N) can significantly boost the secondary root growth. Using T3 makes the best yield of 8756.87 kg∙hm−2. Fertilization and preservation of soil moisture are the key to increase the yield of wheat in the Shajiang black soil. The optimal application of nitrogen fertilizer and water retaining agent can promote the tillering of wheat and increase the number of grains, 1000 grain weight and the yield of wheat. 注：同列数据后不同字母表示差异达5%显著水平，P = 0.025、0.032。Note: Values followed by different letters in the same column mean significant at 5% level, P = 0.025, 0.032. 注：同列数据后不同字母表示差异达5%显著水平，P = 0.027。Note: Values followed by different letters in the same column mean significant at 5% level, P = 0.027. 注：同列数据后不同字母表示差异达5%显著水平，P = 0.03。Note: Values followed by different letters in the same column mean significant at 5% leve, P = 0.03. 注：同列数据后不同字母表示差异达5%显著水平，P = 0.019。Note: Values followed by different letters in the same column mean significant at 5% level, P = 0.019. 注：同列数据后不同字母表示差异达5%显著水平，P = 0.023。Note: Values followed by different letters in the same column mean significant at 5% level, P = 0.023. 阎占元, 吴聆益, 陈常友. 黄淮海平原砂姜黑土分布特点与综合开发治理途径研究[J]. 河南科学, 1989(Z1): 177-185. 白由路, 张景略, 王全贵. 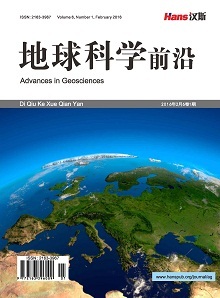 河南省砂姜黑土持水性的研究[J]. 河南农业大学学报, 1993, 27(3): 235-239. 朱喜梅, 郑长训. 河南省砂姜黑土的综合治理[J]. 河南科技, 1993(6): 8-9. 孔令聪, 汪芝寿, 曹承富, 等. 淮北砂姜黑土地区小麦生态生育特点及高产栽培技术探讨[J]. 麦类作物学报, 1997, 17(6): 56-58. 葛昌斌, 廖平安, 沈向磊, 等. 砂姜黑土小麦生产现状的分析[J]. 江苏农业科学 ,2011(Z1): 38-40. 赵雪飞, 王丽金, 李瑞奇, 等. 不同灌水次数和施氮量对冬小麦群体动态和产量的影响[J]. 麦类作物学报, 2009, 29(6): 1004-1009. 孙亚辉, 李瑞奇, 党红凯, 等. 河北省超高产冬小麦群体和个体生育特性及产量结构特点[J]. 河北农业大学学报, 2007, 30(3): 1-8. 陈毓君, 陈黎岭, 同延安, 等. 不同施肥水平对冬小麦群体动态和产量形成的影响[J]. 西北农业学报, 2012, 21(4): 47-53. 高式余, 钱维朴. 小麦次生根发生特性研究[J]. 河南职技师院学报, 1990, 18(3-4): 42-48. 蹇家利, 马瑞昆, 贾秀领, 等. 不同基因型小麦初生根和次生根生长及生理差异[J]. 华北农学报, 1999, 14(1): 22-27. 王道中, 郭熙盛, 何传龙, 等. 砂姜黑土长期定位施肥对小麦生长及土壤养分含量的影响[J]. 土壤通报, 2007, 38(1): 55-57. 何传龙, 刘枫, 王道中, 等. 砂姜黑土强筋小麦施肥技术研究[J]. 植物营养与肥料学报, 2007, 13(5): 935-940. 石玉, 于振文, 李延奇, 等. 施氮量和底追肥比例对冬小麦产量及肥料氮去向的影响[J]. 中国农业科学, 2007, 40(1): 54-62. 孙克刚, 胡颖, 和爱玲, 等. 控释尿素对小麦品种郑麦366产量及氮肥利用率的影响[J]. 河南农业科学, 2009(8): 67-69. 樊小林, 廖宗文. 控释肥料与平衡施肥和提高肥料利用率[J]. 植物营养与肥料学报, 1998, 4(3): 219-223. 张蕊, 白岗栓. 保水剂在农业生产中的应用及发展前景[J]. 农学学报, 2012, 2(7): 41-46. 汪立刚, 武继承, 王林娟, 等. 保水剂有效使用的土壤水分条件及对小麦的增产效果[J]. 土壤, 2003, 35(1): 81-83.